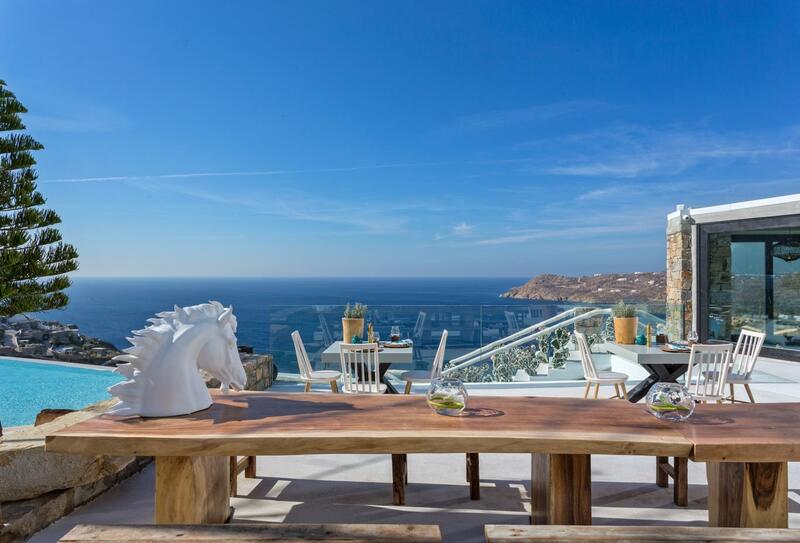 Located to the south of Mykonos overlooking the Aegean Sea, Myconian Utopia Resort is a gleaming addition to the Myconian Collection of resorts. 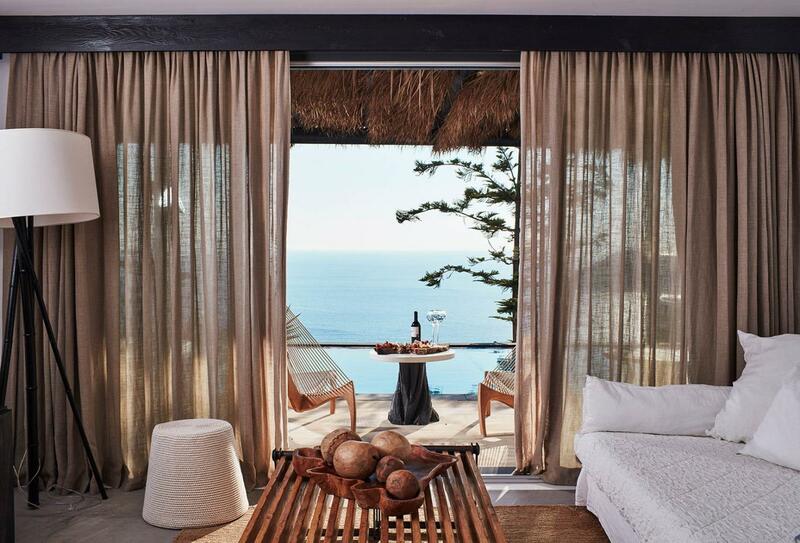 World class suites, rooms and villas are all furnished with high quality amenities and a balcony or terrace. 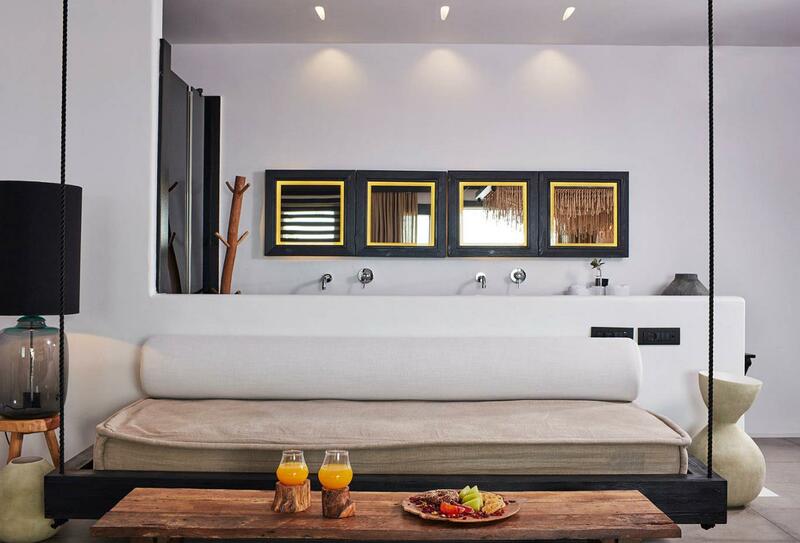 Each accommodation is built using natural and sustainable materials alluding to its environment friendly attitude. Guests will be treated to gourmet food at Pavilion Restaurant with its modern take on classic dishes. Relax at the Sanctuary Spa, or take a dip in the swimming pool. 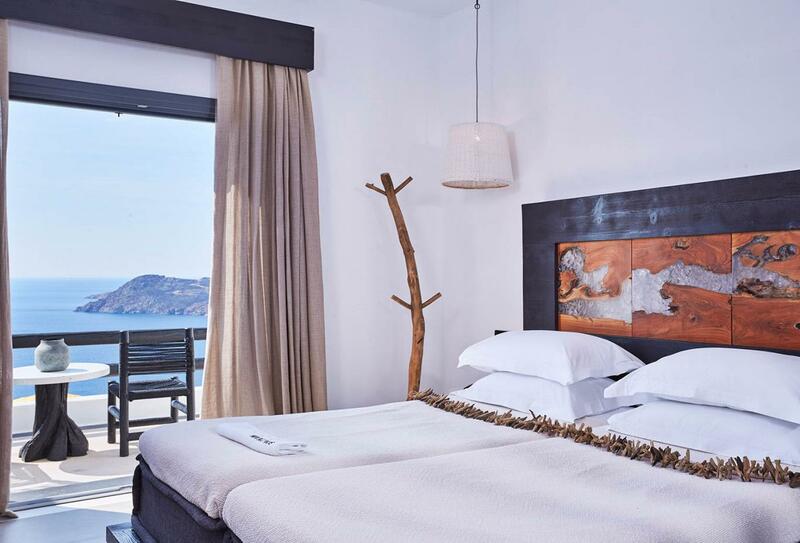 Simple, yet elegantly furnished in neutral tones, the Signature Retreat is great for couples with a romantic furnished balcony or terrace overlooking the sea. 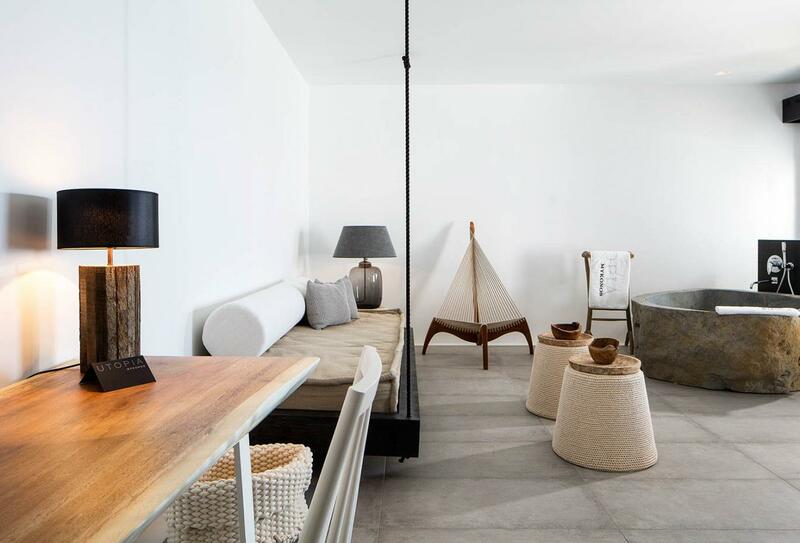 Sleek and stylish the Heavenly Retreat uses a blend of hand crafted furnishings and cosmopolitan nuance to create a room that appeals to trendy couples. 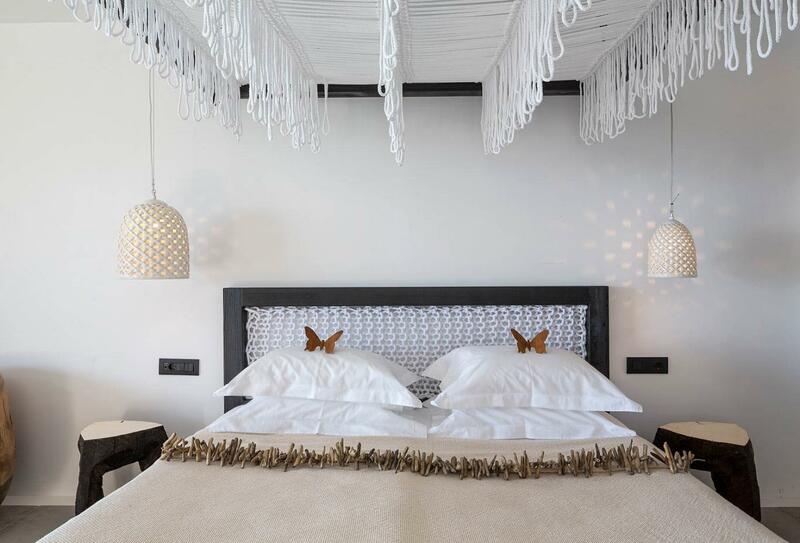 The generous living space is accompanied by a private fully furnished balcony or terrace, with panoramic sea views of Elia Beach. 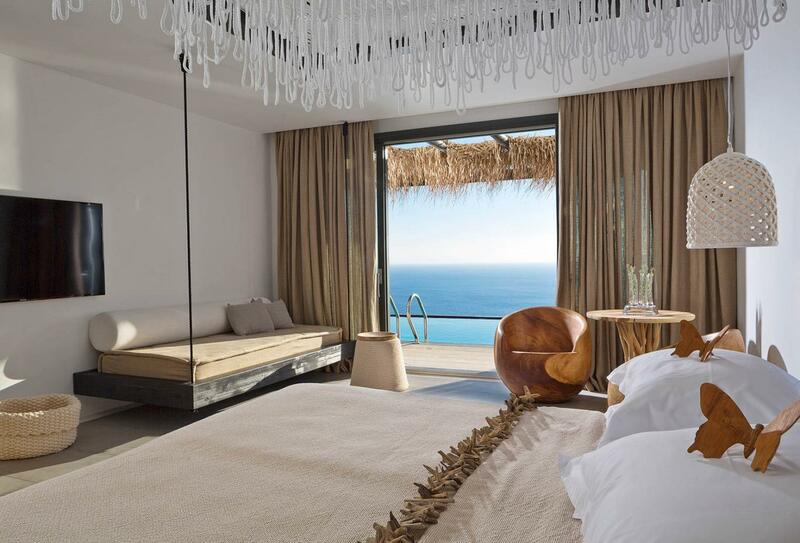 Categorised in the deluxe department, these Signature Retreats are furnished with a private infinity pool and fully furnished terrace. 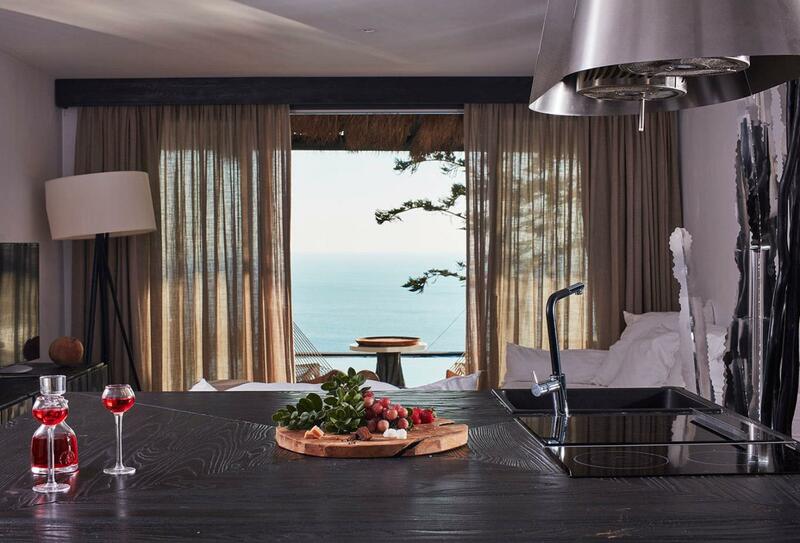 Relax and take in the panoramic sea views. 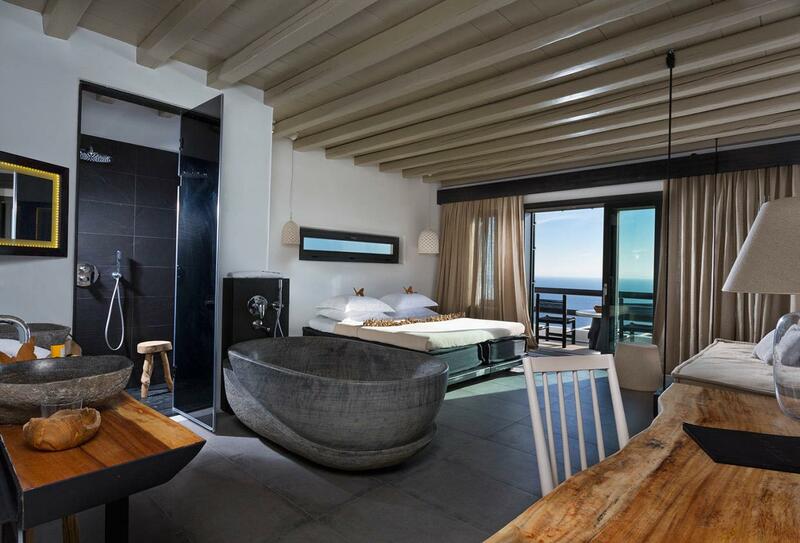 Enjoy the benefits of the Heavenly Retreat room with the added bonus of an outdoor spa Jacuzzi on a furnished terrace. Interiors are pleasant and streamlined, with simple décor. 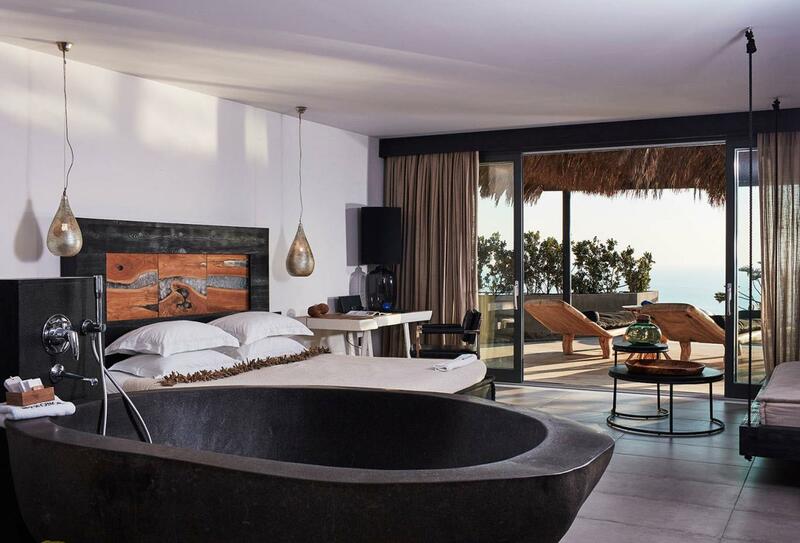 Bright and open plan, the Majestic Retreat features a plush bedroom and a designer-style bathroom with rustic stone bathtubs. 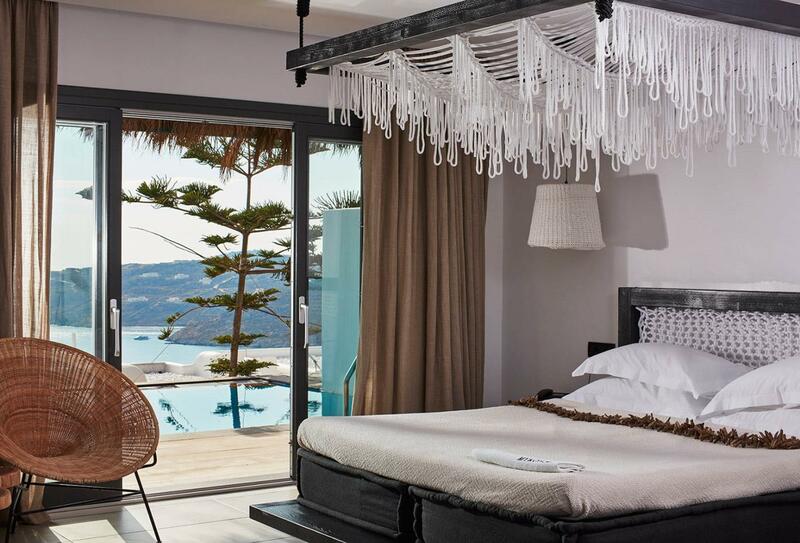 Enjoy panoramic sea views from a private furnished balcony or terrace. Placed under the premium category label, the Majestic Retreat is very much a simple, yet desirable room. 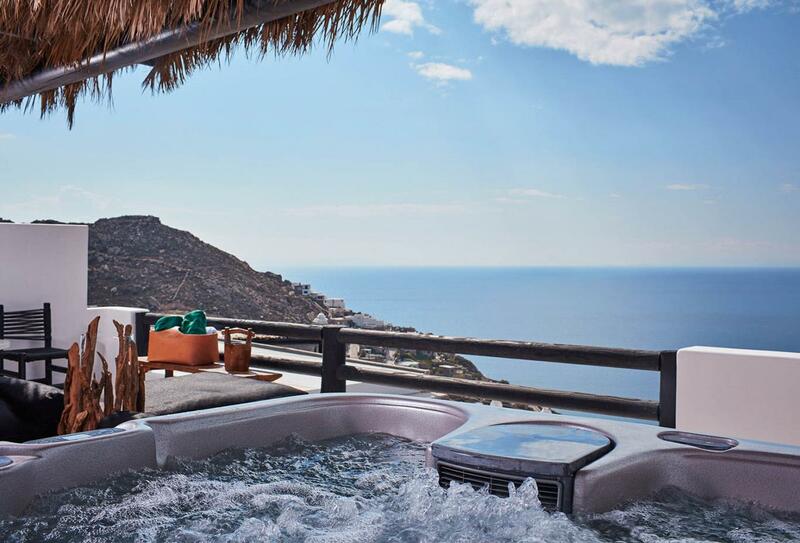 Outfitted with a private fully furnished terrace and a spa Jacuzzi, the retreat makes for an ideal couples spot. Relax in the generous living space of the Majestic Retreat Private Pool. 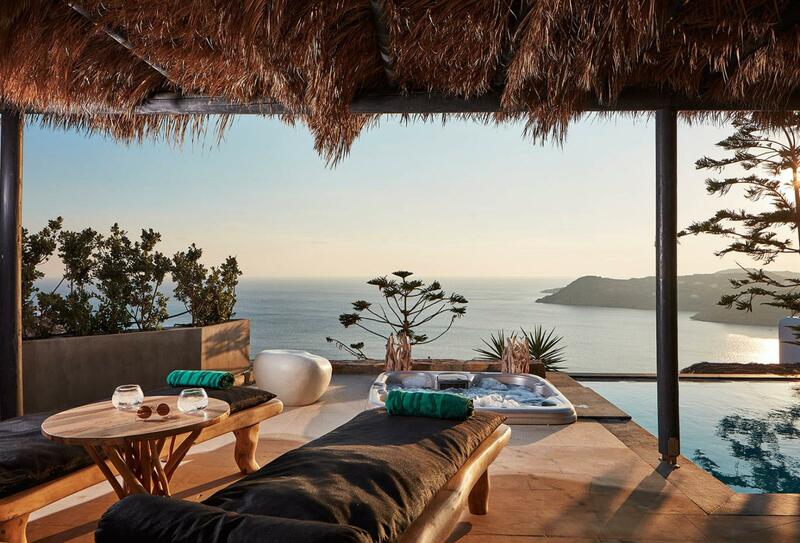 Guests will be more than pleased with a private fully furnished terrace, as well as a private infinity pool and views of the sea. Sleeping up to 5 people in two separate master bedrooms, these Grand Majestic Villas feature three bathrooms and a separate spacious living area. The Villa boasts a fully furnished terrace and a large private infinity pool, as well as a barbeque area. Live in elite luxury in one of these Grand Majestic Villas. 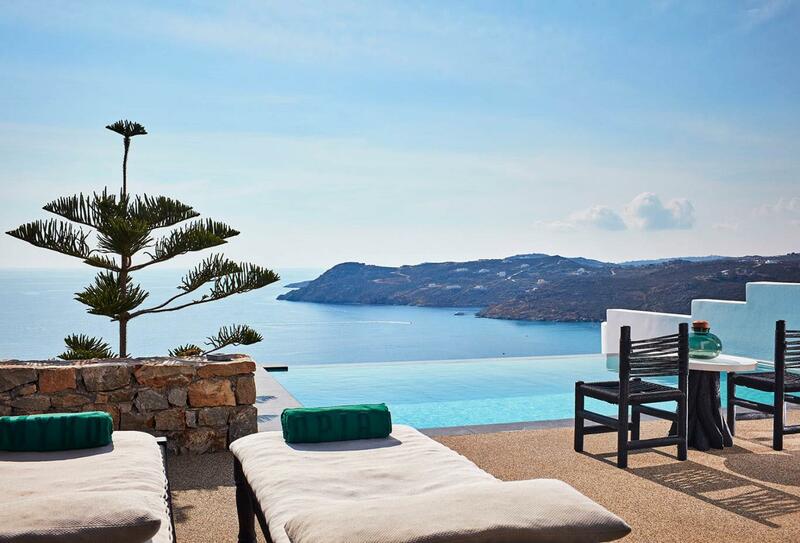 The largest accommodation option at the hotel, these Villas are split over two levels and feature a fully furnished terrace and a private infinity pool. The upper level houses three guestrooms and there are 6 bathrooms around the hotel. Rejuvenate and reinvigorate your body and mind at the Sanctuary Spa, run by a selection of experienced staff and equipped with state of the art spa amenities. There are numerous spa packages designed for both men and women to get the most out of their stay. Facials, foot massages and hot stone massages are on the menu, as are high quality Kerstin Florian products. Aid your joint pain, back problems or any arthritis issues with a dip in the state of the art thalassotherapy pools. Bask in the casual sophistication of the Pavilion Restaurant, with its extensive menu and organic ingredients. 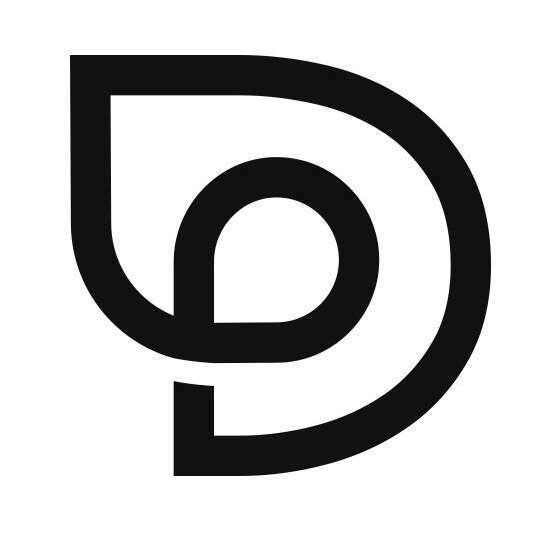 The food is a modern taken on classic dishes with flavourful ingredients. 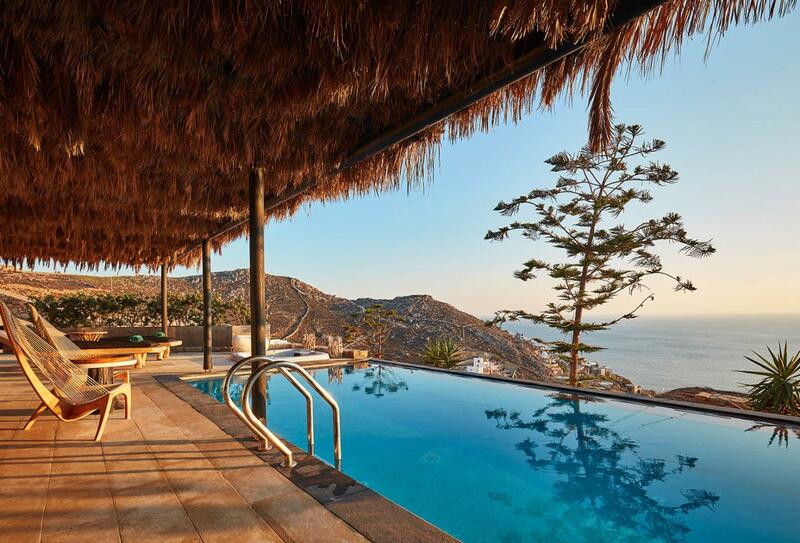 Myconian Utopia Resort is to the south of Mykonos on the coast of beautiful sandy beaches. 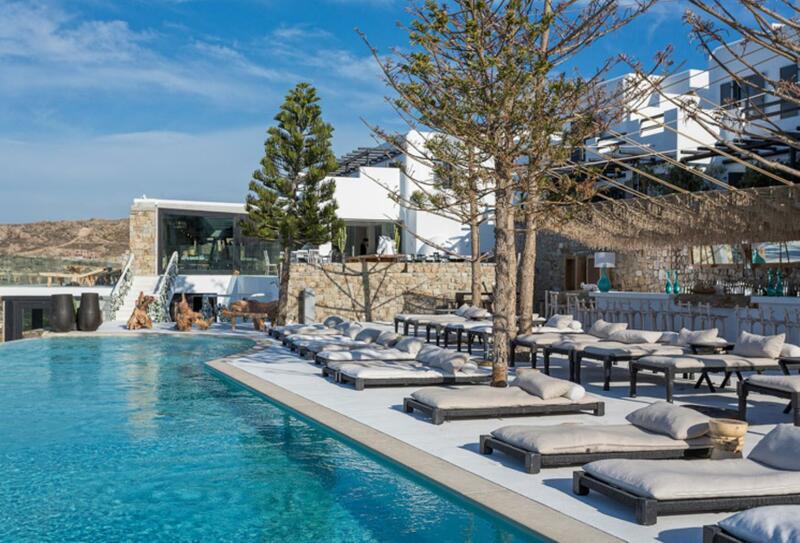 The hotel is roughly half an hour from Mykonos Island National Airport and half an hour away from Mykonos’ main town area.